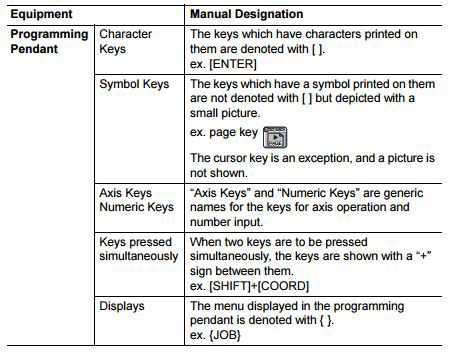 The Yaskawa JZRCR-YPP01-1 is a programming pendant for the DX100 Motoman controller. This controller can easily handle multiple tasks including the control of up to 72 axes (8 robots) as well as a variety of I/O devices and communication protocols. The JZRCR-YPP01-1 also has blazing fast processing speeds, advanced robot arm control for smooth interpolation, a built-in collision avoidance system, and quicker I/O response time than previous models. These advanced functionalities take full advantage of the Sigma V motor technology that allows for the optimization of acceleration characteristics and cycle time reductions. One major benefit of the DX100 system is a reduction of energy use during robot idle time, which can product the user with up to 25% of energy savings. 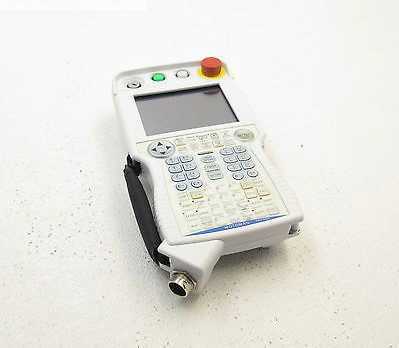 The JZRCR-YPP01-1 also uses Windows CE and features a color touchscreen. The emergency stop button is located on the right side of the JZRCR-YPP01-1. Always confirm that no person is present in the P-point maximum envelope of the manipulator and that you are in a safe location before moving the manipulator with the programming pendant. It is important to note that the JZRCR-YPP01-1 can be damaged of it is left in the P-point maximum envelope of the manipulator, on the floor, or near fixtures. 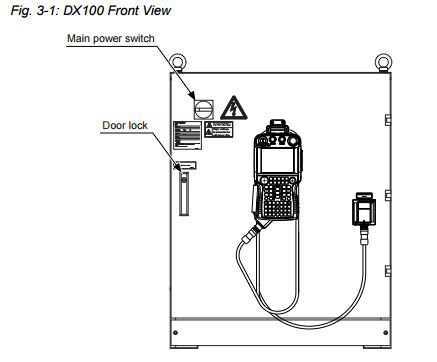 Always return the programming pendant to the hook on the DX100 cabinet after use. The programming pendant can also show a number of alarms. When these occur, the manipulator stops immediately and the ALARM window appears on the pendant. Alarms are classified by minor and major alarms. Minor alarms can usually be released by selecting “RESET” in the alarm window. Major alarms automatically turn on the servo power off on the DX100. Turn off the main power supply, remove the cause of the alarm, and then turn on the power supply again to restart operation. For more information on the JZRCR-YPP01-1 Teach Pendant or other DX100 components, please email sales@mrodrives.com or call 800-691-8511.